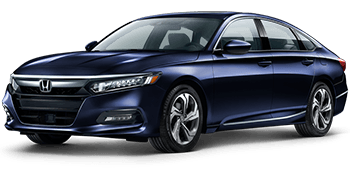 The latest iteration of the Honda Accord model features hybrid and turbocharged options, ensuring drivers of all needs can command attention while on the road. 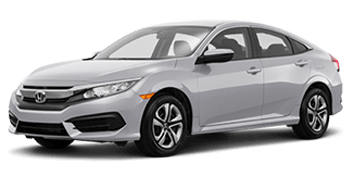 With a variety of trim models available, each boasting amenities such as a multi-angle rearview camera and one-touch power moonroof, there's a Honda Civic sedan that suits you! The Honda CR-V has set the new car bar high, what with its sporty feel, real-time all-wheel drive™ and Honda Sensing® safety features. 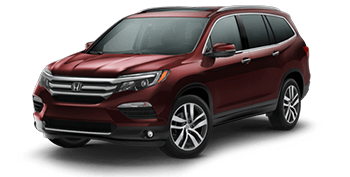 The award-winning mid-size Honda Pilot is an SUV the whole family can enjoy, thanks to its space for up to eight, connectivity features and driver-assurance programs. If you have a vehicle trade-in, purchase or service need, Classic Honda of Texoma in Denison, Texas, is here to assist! Our new and used car dealership is family owned and operated, with a strong emphasis on customer service and a pressure-free atmosphere. Since our opening in August of 2015, we have been dedicated to providing for the automotive needs of all our Bonham neighbors, so whether you're looking for a new Honda CR-V or parts for your used Civic, our team of friendly, knowledgeable technicians is here to help. Our auto dealership is committed to ensuring your car buying or maintenance process is as simple, efficient and enjoyable as possible. Our staff will work with you, tailoring an experience that fulfills all your vehicle needs, so don't hesitate to contact us to let us know more about what it is you're looking for. Our sales department is familiar with all the competitively priced models we carry, and our finance center is well versed on all the loan possibilities drivers can take advantage of! When the time comes for auto maintenance care or a genuine part, Classic Honda of Texoma has you covered there, too. We offer an amenity-filled service center and the ability to order vehicle components right from the comfort of your home! Learn more about our new and used Texas Honda dealership or simply make your way over for the stress-free process that you deserve. Whether you're in the market for a family-friendly minivan, a rugged pickup truck or a fuel efficient commuter vehicle, there's a new car for sale here at our Honda dealer that complements you. Browse our Odyssey lineup, test drive a Ridgeline or inquire about the amenities an Accord comes standard with! We've streamlined your new car shopping process, as we've made our inventory available right here on our interactive website. Input filters and get your search for a new Honda started now! Our new and used Honda dealer's on-site finance center has competitive loan terms for car shoppers of all backgrounds and budgets, so drop by to see us if you hold a pristine credit score, are a first-time buyer or are browsing auto options with a sub-prime credit rating. We have financing packages that can get you behind the wheel of a high-tech Honda. 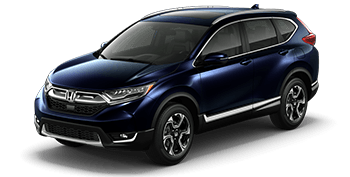 Easily express your interest in our professional loan services, complete a Classic Honda of Texoma credit application online from your nearby Sherman, Texas, home! If you're on the hunt for affordable original equipment manufacturer parts and accessories, turn to our car dealership that serves Plano, Texas, drivers. Our parts department stocks a variety of OEM products and offers part identification assistance so that you can be sure you are acquiring all the components your vehicle is in need of. Get authentic car parts for your ride now, place an order for genuine items with help from our online form. Our team will quickly process and fulfill your request, being sure to let you know about any relevant parts specials you can put to use! Here at Classic Honda of Texoma, we understand the importance of options. That's why we stock a wide range of used cars for sale, all of which have been rigorously tested. From used Honda models to certified pre-owned selections and used vehicles from other brands, car shoppers can explore a variety of well-maintained rides here at our Denison, TX dealership near Durant, OK.
We also buy vehicles, so don't hesitate to complete one of our dealer's online auto appraisal forms before visiting us to trade up to the used Honda Pilot you have your eye on! The certified service technicians here at our Honda dealership can complete maintenance requests on many different vehicle models, so visit us for an oil change or tire rotation no matter what you currently drive. Our friendly professionals will complete the work with genuine parts in a timely manner. We boast an amenity-filled service center and practical service specials, so book an appointment for your used Honda Fit via our online scheduling form so you can relax in our comfortable waiting area while enjoying complimentary Starbucks coffee! Our Denison new and used Honda dealer offers extensive business hours but should you find yourself in need of auto information after hours, our interactive website is here to assist! Read about popular Honda models, apply for an auto loan, value your trade-in or grab turn-by-turn directions for a later visit, all from the comfort of your North Texas home. We look forward to welcoming our neighbors to Classic Honda of Texoma and reviewing all the benefits that come from shopping here!